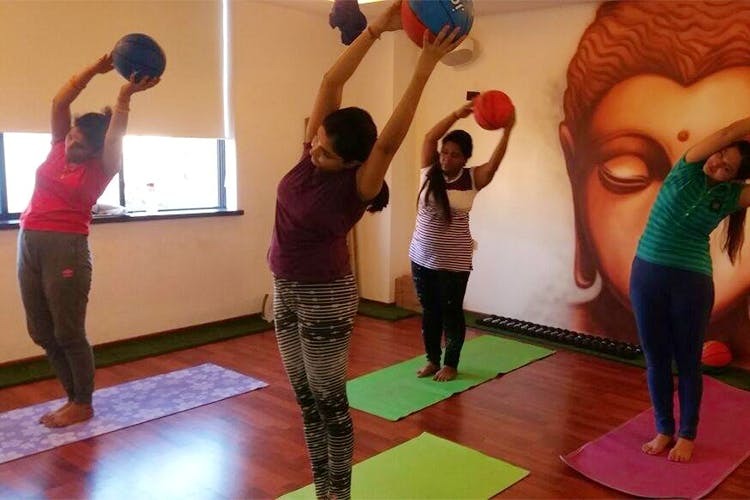 We found awesome in Zorba – a fitness center that lets you dabble in various forms of yoga. With its branches across the city, Zorba Fitness lets you do 22 types of yoga. To name a few, here’s basketball yoga, brick yoga, aerial yoga and paddleboard yoga. Along with yoga, they also offer Zumba classes if you like to shake a leg while working out. If you like to do both, get their combined studio membership starting at INR 5,999. If you like to stick to one regime, join their yoga classes at INR 4,500 and zumba at INR 2,500. Commitment phobic? Opt for their pay per session plan. Also, they have a free trial. Basketball yoga does intrigue us and to be honest, we’ll give one arm to be fitter while working out with zumba.